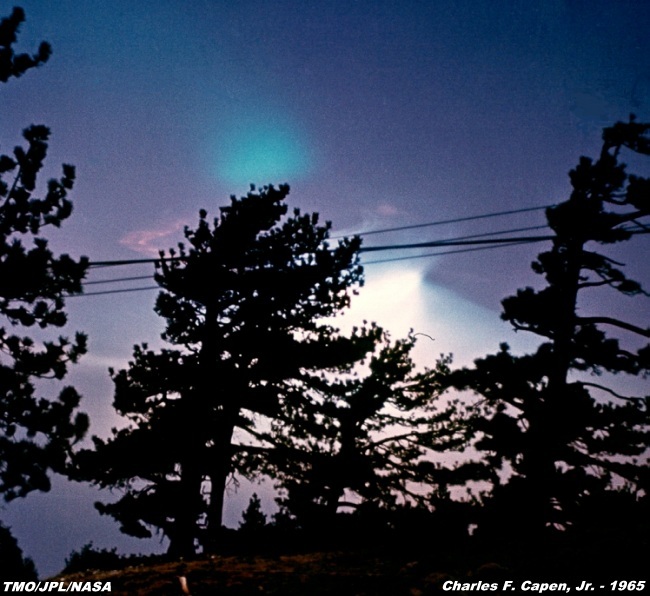 a barium injection to study the ionosphere. The bright green cloud is the barium. 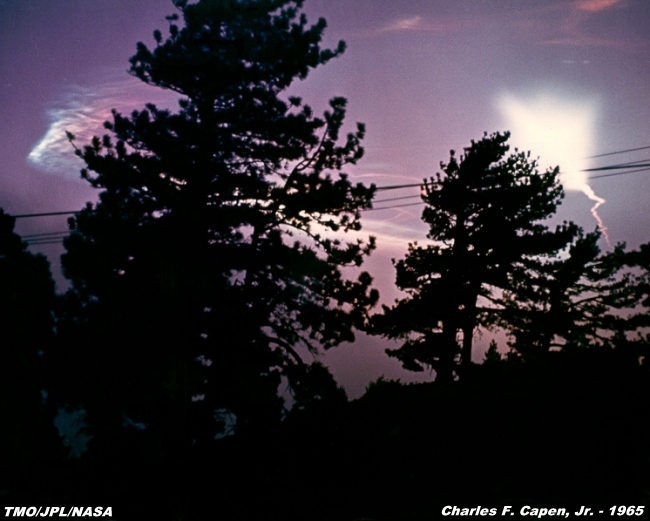 A 35mm camera was used to take these exposures on Kodak Kodachrome-X 64 ASA slide film.